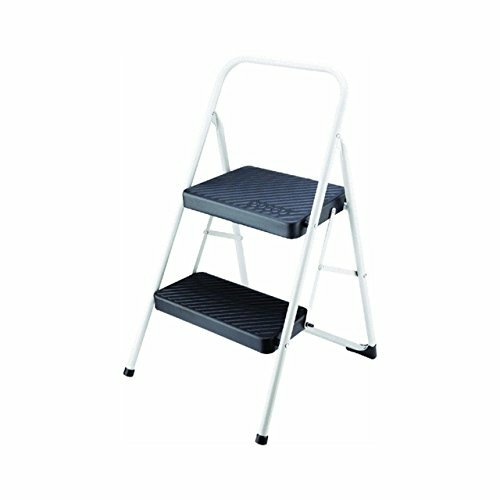 Two metal steps for strength, non-marring, skid resistant front leg tips and back guides. Opti-Bond powder finish, ribbed, slip resistant step treads. Convenient handle for carrying ease, continuous rear leg support for added strength. Meets ANSI Standard s for Type III Light Duty Household Rating.